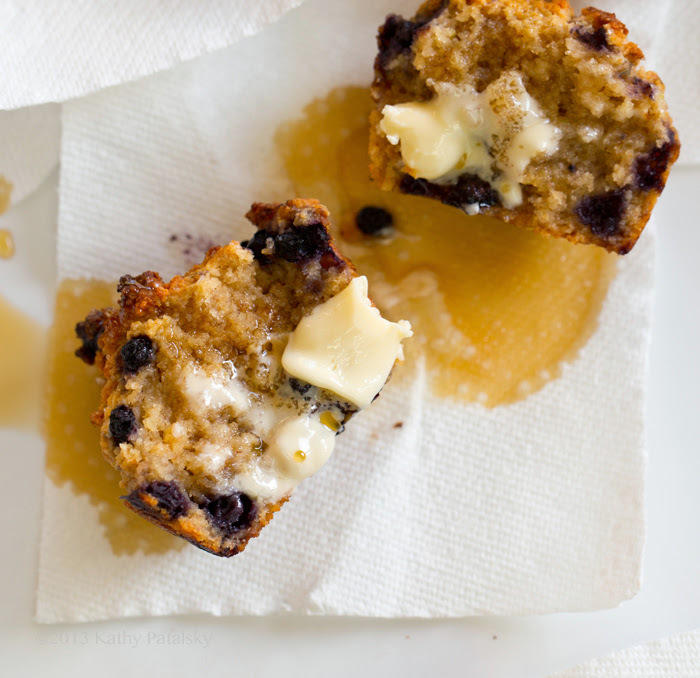 Bumbly-Topped Blueberry Muffins. 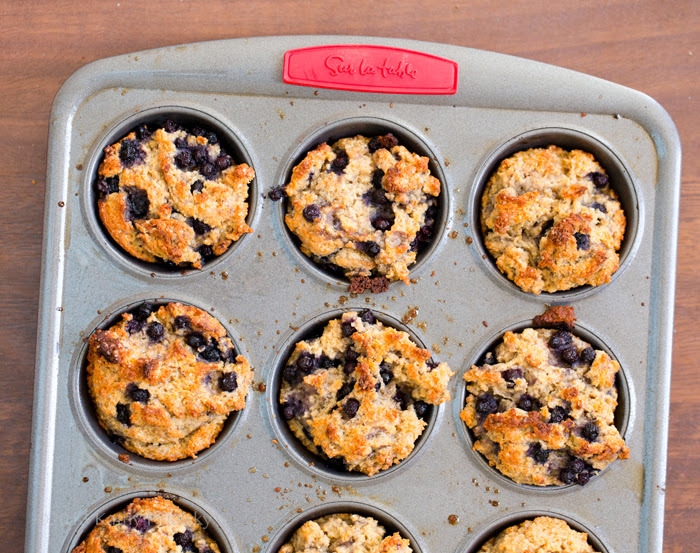 Gluten Free & Classic Versions. 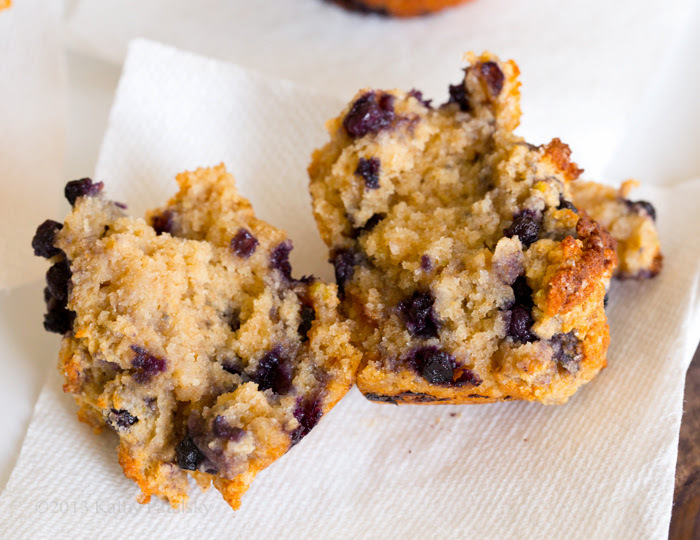 These vegan Bumbly-Topped Blueberry Muffins are an easy new favorite recipe. 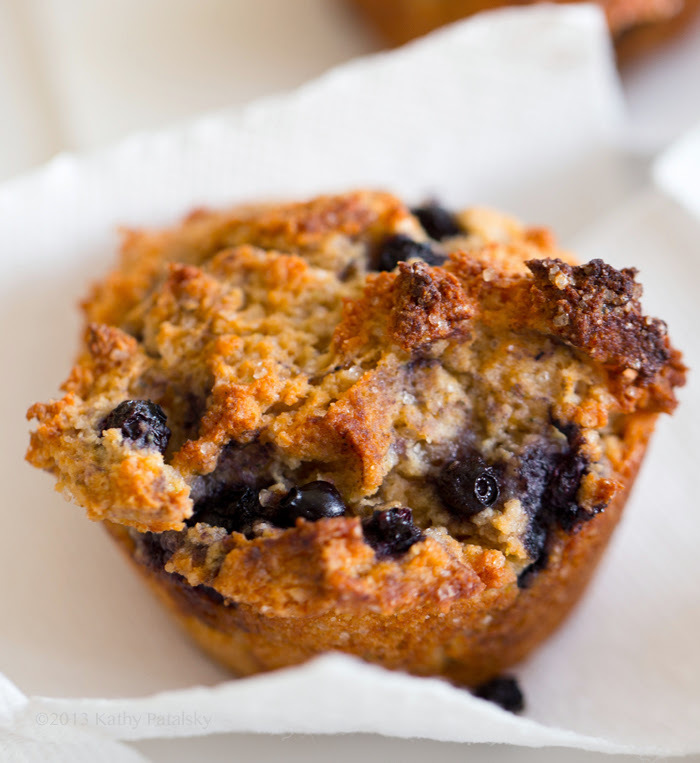 They might seem like any ordinary blueberry muffin, but they have one secret new ingredient I love adding to my baked goods. 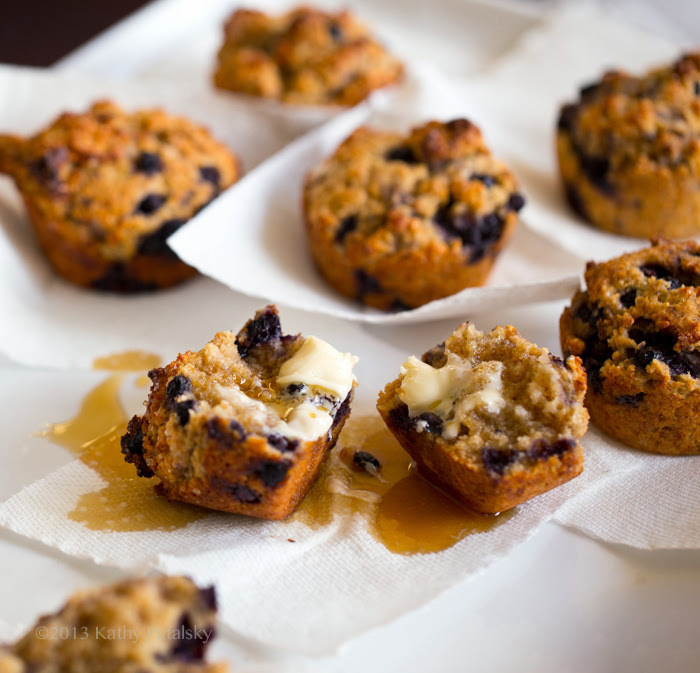 Give these fluffy, dense, silky yet bumbly-topped muffins a try! 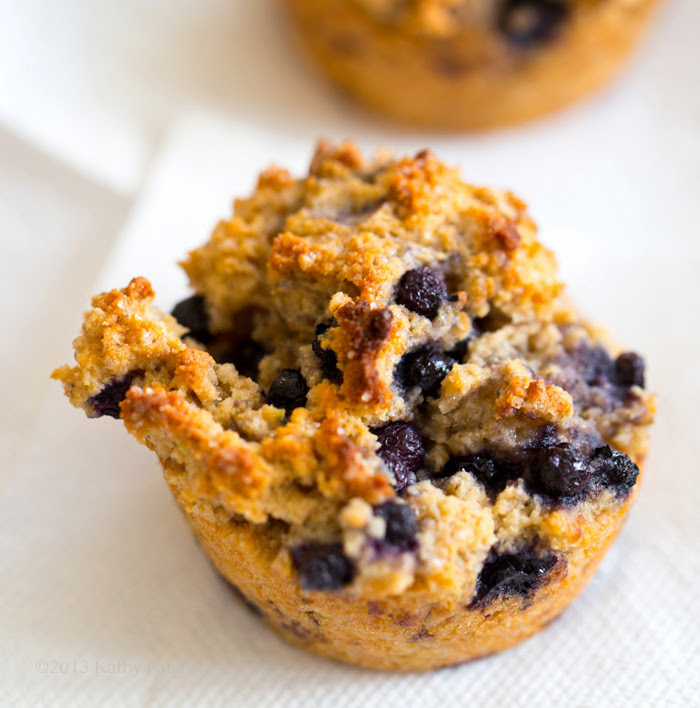 Classic and gluten free recipe versions ahead!.. With lots of blueberries, I do not dare skimp on the blueberries in this family. Lots of berries. That is the best part according to my husband. 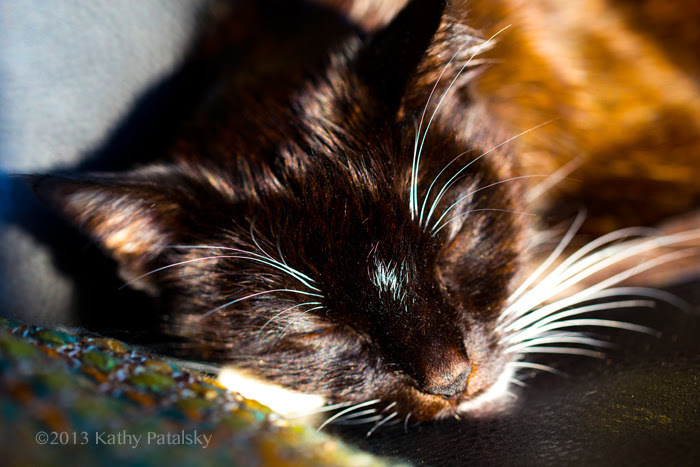 Maple syrup & maybe some vegan buttery spread on top..
With a side of a cute kitty cat to cuddle.. So. My secret ingredient: Potato Flour! Yup, naturally gluten free, (Bob's Red Mill) Potato Flour. I adore the smooth, dense, silky texture and tone that potato flour adds to baked goods. Another secret ingredient: vital wheat gluten. It helps to bind the batter and thicken it so that everything stays together and has a fluffy cake-like, yet scone-like texture. I made two versions of this recipe. The first uses classic wheat flour with some nutty spelt flour and vital wheat gluten to bind and thicken the texture. 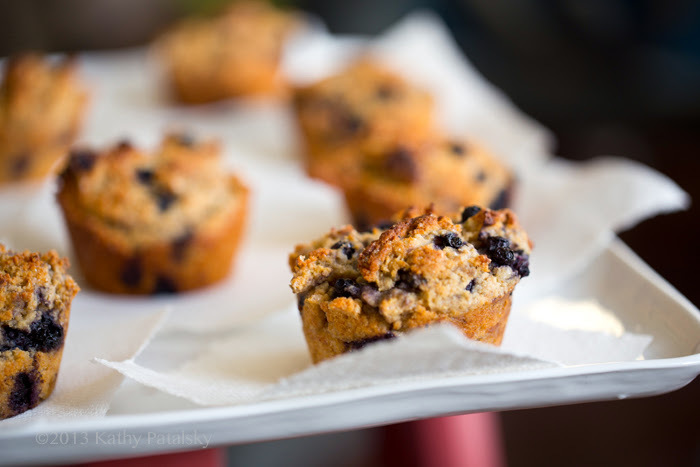 The density really holds up and the gluten gives the muffins some body that doesn't sink or wilt at all when the muffins cool. I love this version and so did my taste testers! OK, when I say taste tester, I mean my husband. Gluten-Free Version. 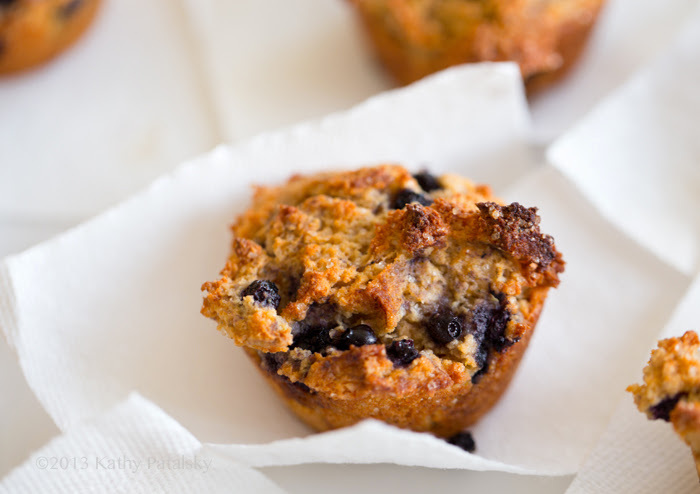 I don't mind gluten in moderation, but if you are gluten sensitive, you can easily make these muffins using my favorite gluten free flour in place of the wheat and spelt: homemade oat flour using rolled oats. 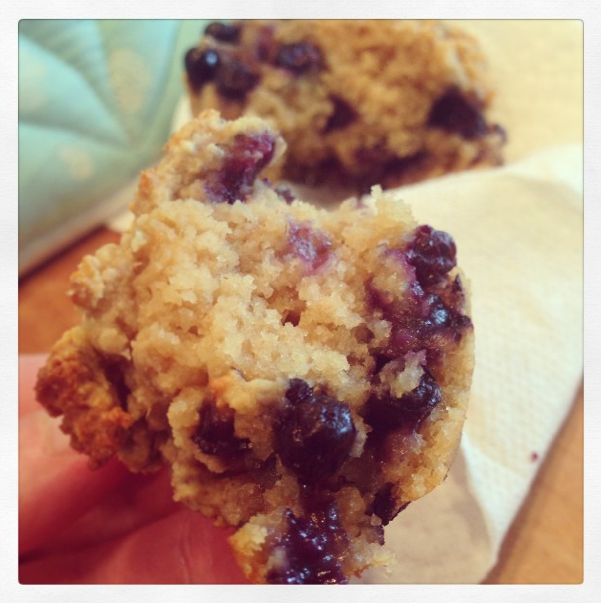 I love using homemade oat flour for my gf baking. 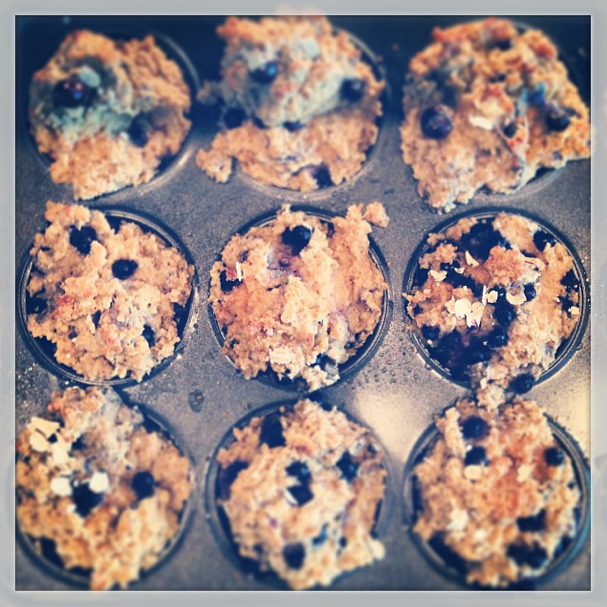 To Make: Simply grind whole rolled oats in a Vitamix or food processor until powdery. A regular blender may work too. 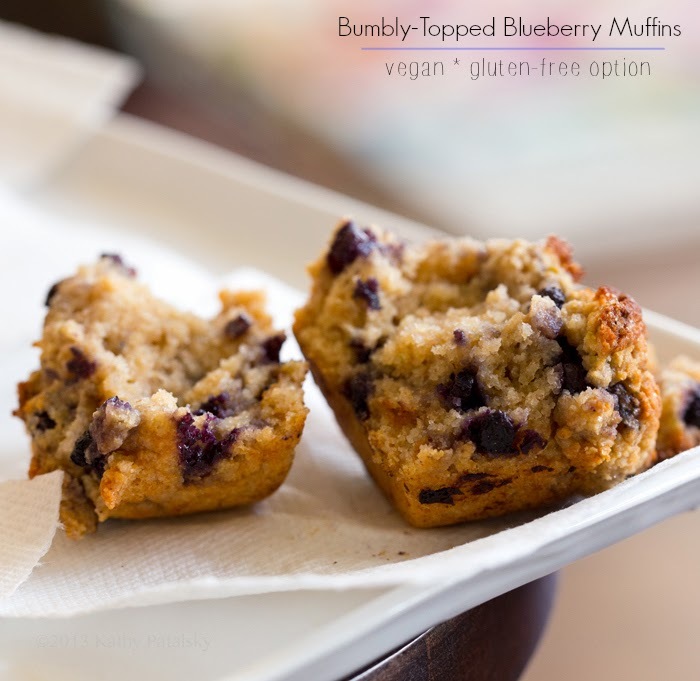 I was surprised and thrilled by how delicious the gluten free version came out! The potato flour still adds a rich cake-y texture and my frozen berry trick (see recipe directions) to thicken and firm up the batter works well to keep things fluffy. I love both versions and the subtle differences of each. So I included both recipes in full below. I like my muffins with vegan buttery spread + grade B maple syrup. Like pancakes. Only not. Only better?.. Maybe!.. 1. Preheat oven to 420 degrees. Grind whole rolled oats into flour. Add the flax seeds to thIS oat flour mixture grind in blender - this will grind flax seeds with the oats. Pour oat + flax mixture into a large mixing bowl. 2. Make your homemade applesauce if making homemade. Add the apple cider vinegar to the applesauce and blend about a minute to make fluffy. Set aside in blender. 3. Add baking powder, salt and cinnamon to the flour mixing bowl. Blend together. 4. Warm non-dairy milk in microwave along with the coconut oil, vanilla extract and sweetener. 5. Add the warmed liquid to the flour mixture and blend well until a thick dough-like batter forms. 6. Pour the applesauce mixture into batter bowl and fold well until a fluffier (but still quite thick) batter forms. 7. Fold in the frozen berries. 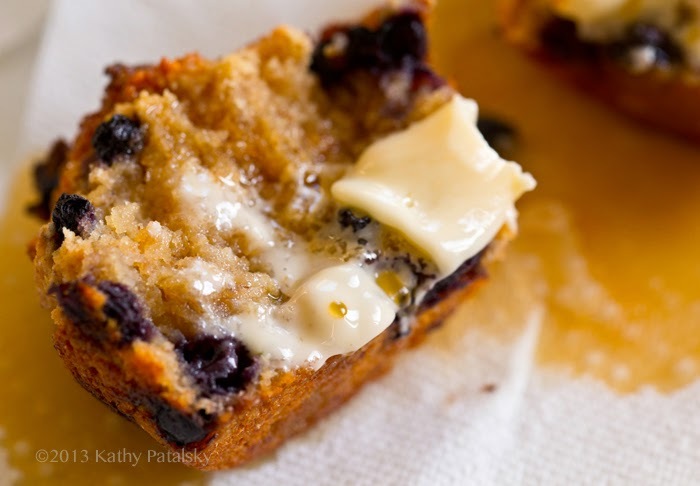 This will firm up the batter into a very fluffy dough since the cold berries harden the coconut oil in the batter. You will be able to easily scoop out the batter in thick mounds. NOTE: If your dough seems heavy and dry, you may need to add another 1/4 cup non-dairy milk or applesauce. You want the muffin batter/dough to be about the consistency of a fluffy cookie dough. Scone-like. You should be able to scoop it out in thick mounds. But you also want it to be very wet. 8. 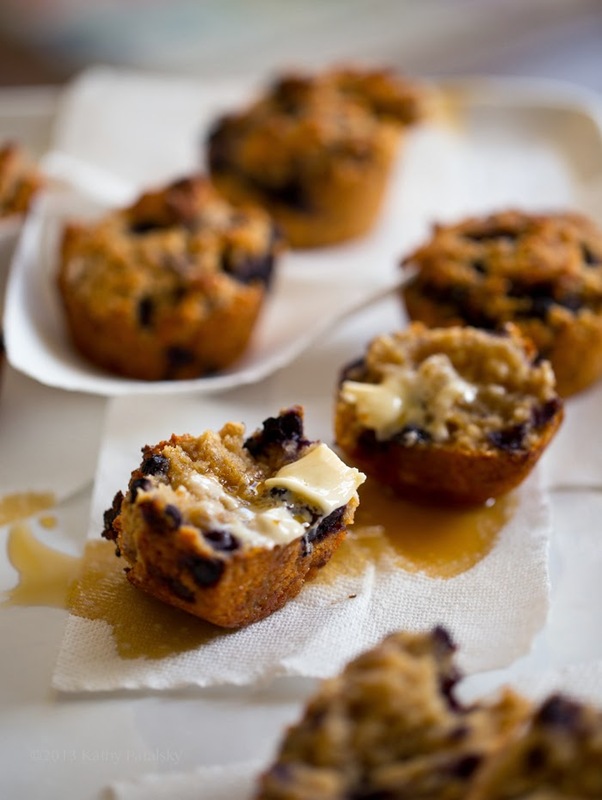 Grease your muffin tins with coconut oil and add heaping mounds of dough to the muffin tins. Top with a spray of coconut oil and pinch of sugar (optional). 9. Bake at 420 degrees for 20 minutes. Then reduce to 400 and bake for an additional 10-15 minutes. The tops will brown and the edges will turn a bit dark brown when they are close to done. 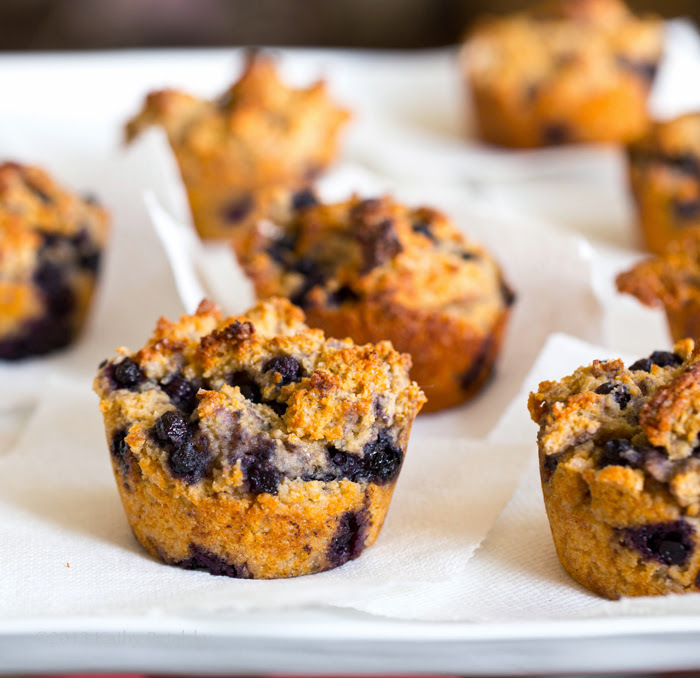 The muffins firm up as they cool, so do not let a doughy texture fool you. That is just the potato flour. After 25-35 minutes they will be done. 1. Preheat oven to 420 degrees. 2. Make your homemade applesauce if making homemade. Set aside in blender. 3. Add flours, baking powder, salt, cinnamon and vital wheat gluten to a large mixing bowl. Blend together. 4. Warm non-dairy milk in microwave along with the coconut oil, vanilla extract and sweetener. You want the to be roughly the same temperature so that the coconut oil doesn't chill and harden. 6. Using a blender, blend the applesauce and apple cider vinegar. Blend so that it is nice and fluffy, whipping some air into it. Spoon into batter bowl and fold well until a fluffier (but still quite thick) batter forms. NOTE: If you have used drier/grainier flours than in the recipe you may need to add another 1/4 cup liquid. You want the muffin batter/dough to be about the consistency of a fluffy cookie dough. Scone-like. You should be able to scoop it out in thick mounds. But you also want it to be very wet. 9. Bake at 420 degrees for 15 minutes. Then reduce to 400 and bake for an additional 10-15 minutes. The tops will brown and the edges will turn a bit dark brown when they are close to done. 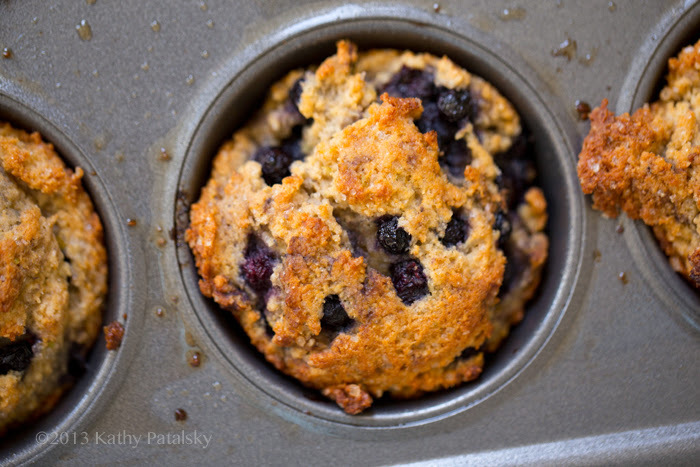 The muffins firm up as they cool, so do not let a doughy texture fool you. That is just the potato flour. After 25-30 minutes they will be done. Cool a bit and serve warm. Store on the counter, covered for up to a day or store in the freezer for longer periods. Warm to serve.